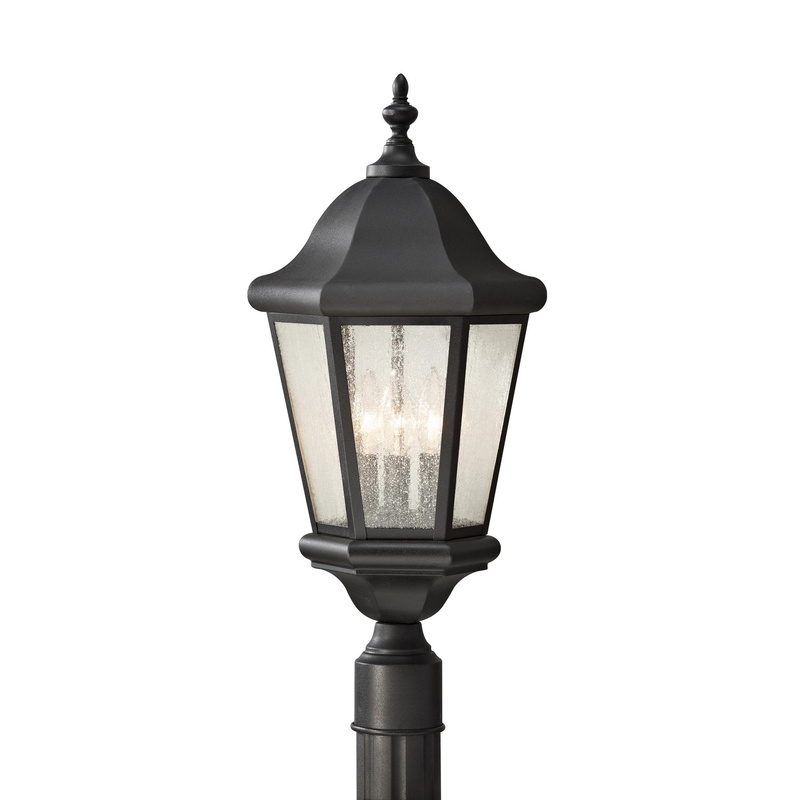 Murfeiss Martinsville Collection Outdoor lantern in black finish, features stainless steel/aluminum construction. Clear seeded glass shade brings elegance to the home. This traditional style lantern uses three 60-Watt B Torpedo incandescent lamps. Candelabra socket lamp has voltage rating of 120-Volts. Lantern measures 22-1/4-Inch x 10-1/4-Inch. Post mountable lantern is great choice for your do-it-yourself project. Outdoor lantern is cUL listed.